Every Redback Roller Reamer comes equipped with the Redback patented wedge locking cartridges. 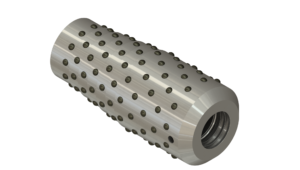 These cartridges are made up of several components that are shipped pre-assembled to clients and field sites globally. Our kits come in different shapes and sizes to suit different downhole conditions. We tailor our designs to client requirements while remaining compliant to industry standards. Our reamers are used for hole sizes between 5-7/8” to 28” but we can make special sizes depending on the requirements. What really sets us apart from the pack is our high quality reliable parts and our patented wedge lock cutter cartridges designed to be easily field redressable. There are four different types of cartridge combinations to choose from which are the Hard Formation, Bi-Directional, Back Reamer, and Ream-Stabiliser cartridges. Each cartridge is purpose made to perform differently in operation and are available to fit into bodies for hole sizes between 5-7/8” and 28”. Under and Over size cutters are available and allow different combinations of body and cartridge sizes to service different hole conditions. For more information and to see which cutter is best fit for your purpose, please refer to the FAQ section below. Why use a Hard Cutter? Most widely used cutter type that optimises the cutting action for the opening of under gauge hole and/or the removal of stringers and ledges, which may be created by directional change in the borehole. 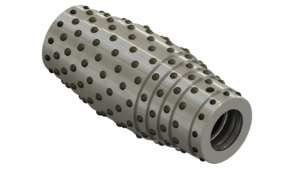 Available from 5 7/8″ to 28″ hole size. Why use a Bi-Directional Cutter? The Bi-Directional cutters will ream both while drilling and when tripping out of hole where top drive is available. 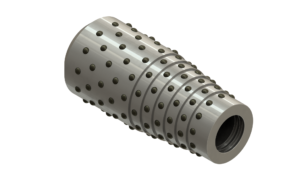 Available from 8 3/8″ to 28″ hole size. Why use a Reamer Stabiliser Cutter? These roller units offer a greater length of full gauge hole wall contact in comparison to the other cutter types when, primarily, stabilisation is required. They effectively act like a low torque stabiliser. Under gauge rollers to simulate fixed blade stabiliser dimensions are available. 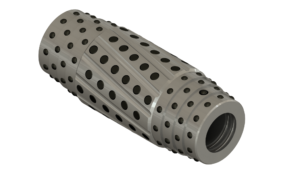 Available in 8 3/8″ to 28″ hole size. Why use a Back Ream Cutter? The Back Reaming cutters, where top drive is available, ream and reduce torque while tripping out of hole where stringers and formation squeeze may slow trip time. Available from 8 ½” to 28″ hole size.